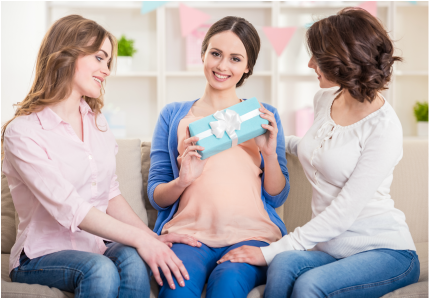 Wondering what to get the expecting or new mom? A gift certificate for a lactation consultation, childbirth classes, or other support is the perfect gift! Do you know someone beginning or continuing their career in the perinatal field? A gift certificate for mentoring or professional consultations is a great way to help someone begin or continue their career! When a gift certificate is purchased, the purchaser will be contacted by Kay. Purchaser will provide the recipient's name, email address, phone number, and street address. Purchaser will receive an email with the gift certificate attached. The certificate will have the recipient's name and the amount of the gift to present to the recipient. Gift certificates can also be sent directly to the recipient if the purchaser wishes to remain anonymous. The gift certificate must be redeemed by the recipient within twelve months from the date of purchase, or it will be voided. The date of purchase and the date of expiration will be on the certificate. Gift certificates can only be used by the original recipient. They are not transferable. Gift certificates are not refundable. Gift certificates may be combined, up to the full amount of the consultation, class, or other services booked with Kay. Any amount left over can be applied to another service with Kay, but must be used prior to the expiration date. Cash back or refunds of unused amounts will not be given. Please select the gift certificate amount below. You may purchase more than one gift certificate by changing the quantity desired on the shopping cart page and/or by adding another gift certificate to your cart. If you would like to purchase gift certificates for multiple recipients, you can let Kay know when she contacts you for the recipient information. If you would like a specific amount not shown in the options below, please contact me. You do NOT need a PayPal account to complete the transaction.